Together we can change the world, one pumpkin at a time! Newtown's 6th annual Great Pumpkin Challenge set for Halloween 2016! My name is Mackenzie Page and since I’m heading off to college this fall, I’m so excited that the Trinity Youth Group will host the Great Pumpkin Challenge on the lawn right next to Newtown’s flagpole this Halloween. 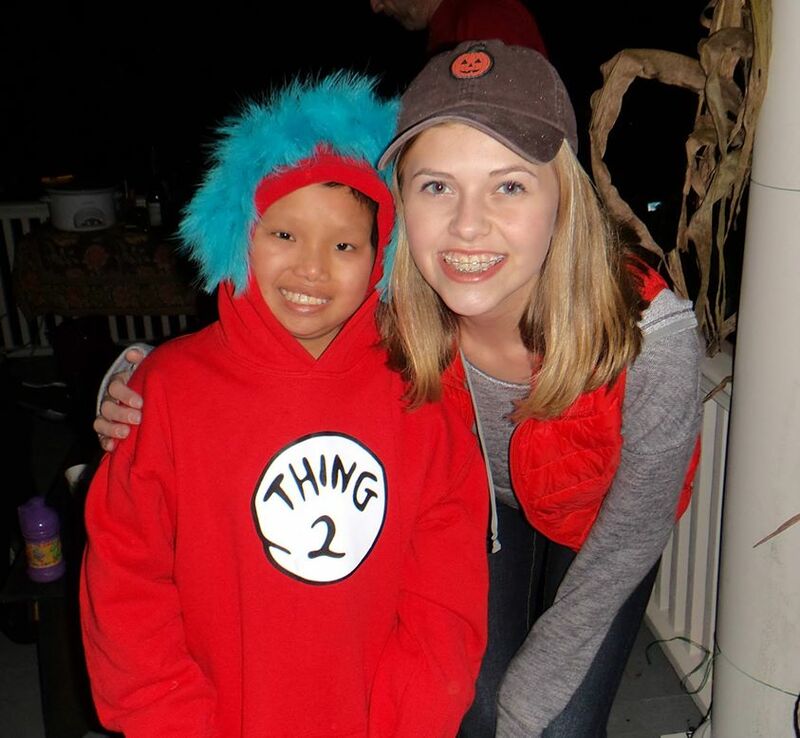 My friend Zoe is battling brain cancer, and I remain committed to making a difference in her life through celebrating friends, family, community, and benefiting the lives of other kids going through difficult situations. I created the Great Pumpkin Challenge as a way to celebrate her strength. I invite you to be a part of this exciting Newtown tradition and see your Jack-O-Lantern shine on Halloween night! All the funds raised will go to The Hole in the Wall Gang Camp, Paul Newman's camp for kids coping with serious illnesses. Come see them lit up on Halloween! Come by the church on Halloween night between 4:30 and 8:00pm to see all the pumpkins shining bright!